How do you find a ghost ship once the trail has gone cold? And how do you locate it if it has been lost in the frozen seas of the Arctic? These were two questions that sparked the idea for the third in the Art Marvik mystery series, Lost Voyage. It also fitted neatly with the fact that Marvik’s late father, Dan Coulter, was a renowned oceanographer with a special interest in the Arctic and it had been the Arctic where he had met Marvik’s mother, Eerika, a marine archaeologist while working on a joint expedition with Norway in 1989. Desk bound research I hasten to add rather than physically embarking on an expedition to the Arctic. I’ll leave the tough stuff to my fictional characters. I discovered that historically difficult to access, the Arctic Ocean once viewed as a remote and barren landscape has now become the fastest warming region of the globe because of climate changes. On current predictions the entire Arctic Ocean will become ice-free in the summer sometime in the coming decades. This will bring with it a huge impact for marine life far beyond the Arctic region and will therefore affect our environmental, economic and political landscapes. It’s a scary scenario. But rather than choosing to focus on global warming and climate change for the story behind Lost Voyage I thought of the ships lost in the ice over the centuries and that if (or rather I should say when) the Arctic becomes ice free how many lost ships would it reveal? So my search for ships lost in the Arctic Circle began, metaphorically speaking that is. There was the fascinating story of the SS Baychimo, which, after disappearing off the north coast of Alaska on 24 November 1931, was found a few days later forty five miles south of where she had been lost, ice-packed. After several months, she was again spotted, this time three hundred miles to the east. There followed numerous sightings over the next few years and she was boarded by various people in different locations - a group of Eskimos, explorers and in 1939 by Captain Hugh Polson, wishing to salvage her. But the creeping ice floes intervened and the captain had to abandon her. She was again spotted in 1962 and 1969 frozen in an ice pack. In 2006, the Alaskan government began work on a project to solve the mystery of "the Ghost Ship of the Arctic" and locate her, whether still afloat or on the ocean floor. She has not been found yet. The MV Lyubov Orlova was a Russian cruise ship, which went missing in the Atlantic. The luxury liner was being towed to the Dominican Republic from Newfoundland, Canada, to be scrapped when the towing ship battling against howling winds and ten feet waves tried in vain to hold on to her. They failed and the cruise ship was left to drift. It was feared sunk and leaking toxins into the ocean. Several attempts have been made to locate her, all have failed. It’s just one of many ships that have gone ‘astray’. In fact no one really knows how many ships are floating on the high seas or how many are lying beneath it. From further research into ghost ships and the marine salvage industry the idea of a plot line for LOST VOYAGE started to crystallize. A salvage tug, the Mary Jo, is detailed to tow a Russian cruise ship out of Newfoundland to Britain for recycling in 2003, the time when a trans-Atlantic row was raging over the disposal of thirteen American toxic warships destined for Hartlepool in the UK for recycling. The warships, which had lain in the James River in Virginia for decades, contained hundreds of tonnes of hazardous substances, including asbestos, heavy diesel, mercury, lead-based paints and polychlorinated biphenyls (PCBs). The Mary Jo in Lost Voyage never reaches her destination. She is lost until someone claims to have found her over a decade later. It is a claim that leads to a trail of deaths because the secret of the Mary Jo must never be revealed. 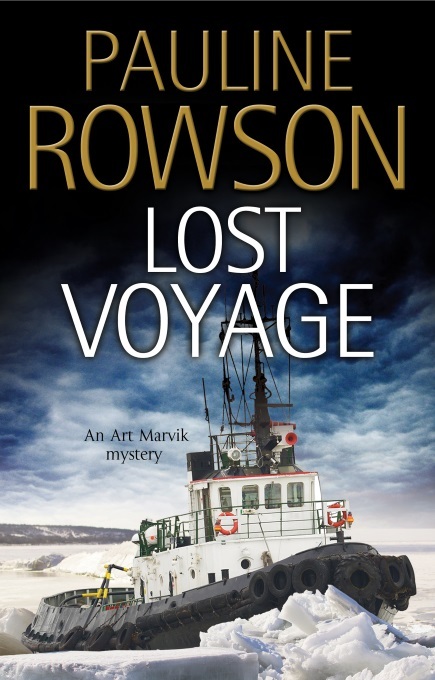 Marvik, working undercover for the UK’s National Intelligence Marine Squad (NIMS), is tasked to discover what that deadly secret is and in so doing locate and stop a ruthless assassin. Lost Voyage, #3 published in paperback, hardback and available as an e book and on Amazon Kindle and Kobo. Silent Running #1 published in paperback, hardback and available as an e book, on Amazon Kindle and Kobo and as an unabridged audio book, narrated by Peter Noble. 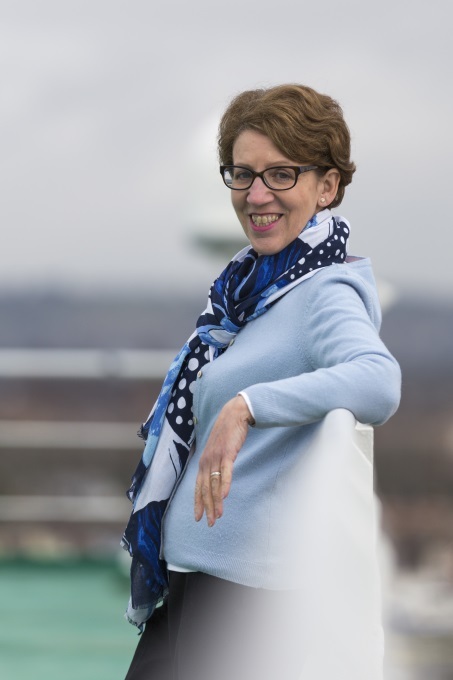 Pauline Rowson is also the author of the Inspector Andy Horton crime novels (14), two standalone thrillers, In Cold Daylight and In For The Kill and the first in the 1950 set Inspector Ryga series Death in the Cove published September 2019.